Leaders of the world's great religions, heads of state and men and women of culture will gather in Krakow from September 6 to 8 upon the invitation of the Community of Sant'Egidio and Cardinal Stanisław Dziwisz. 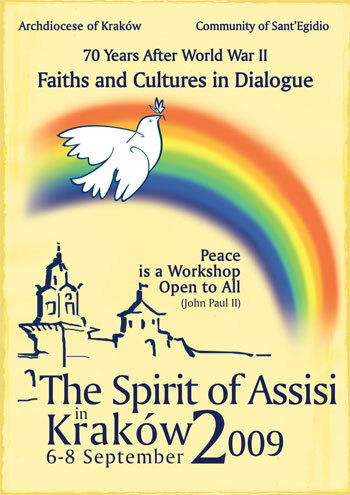 The "spirit of Assisi" returns to Poland, this time to the native city of John Paul II, where the great pope got his cultural, humanistic and spiritual training. The tragic memories 70 years after the start of the Second World War and the twentieth anniversary of the fall of the Berlin Wall and of the communist regimes in Eastern Europe are at the root of the decision by Stanisław Dziwisz, former secretary of John Paul II, Cardinal Archbishop of Krakow, and by the Community of Sant'Egidio to revive the Spirit of Assisi, from Krakow to the rest of the world.